Look well-rested (even if you aren't). 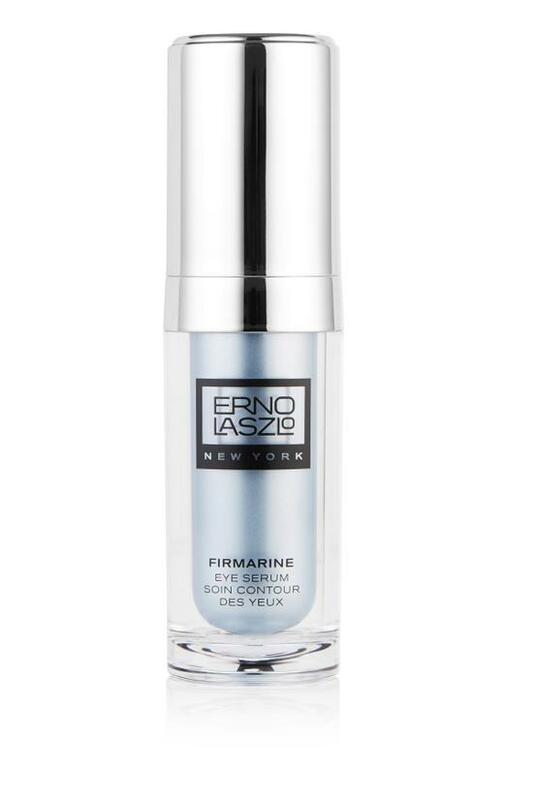 Bright-eyed in an instant, this firming eye serum perks up tired eyes by lifting and tightening the delicate skin around the eyes and depuffing swollen eye tissue. After toning, gently smooth over the skin beneath the eyes, moving from the outer to inner corners. Use daily as part of your Firmarine Cleansing Ritual. INGREDIENTS: WATER (AQUA/EAU), BUTYLENE GLYCOL, GLYCERIN, SPIRULINA MAXIMA EXTRACT, ALGAE EXTRACT, PULLULAN, CUCUMIS SATIVUS (CUCUMBER) FRUIT EXTRACT, SODIUM HYALURONATE, CAMELLIA SINENSIS LEAF EXTRACT, ALOE BARBADENSIS LEAF EXTRACT, MARIS AQUA (SEA WATER/EAU DE MER), GLYCOSAMINOGLYCANS, MAGNESIUM CHLORIDE, SODIUM LACTATE, LACTIC ACID, SERINE, UREA, SORBITOL, POTASSIUM CHLORIDE, ZINC CHLORIDE, LYSINE, ALLANTOIN, PENTYLENE GLYCOL, PHOSPHOLIPIDS, TOCOPHERYL ACETATE, RETINYL PALMITATE, ASCORBYL PALMITATE, SODIUM CHLORIDE, CARBOMER, SODIUM HYDROXIDE, DISODIUM EDTA, PHENOXYETHANOL, METHYLISOTHIAZOLINONE, BLUE 1 (CI 42090), EXT VIOLET 2 (CI 60730).